Most poor children played outside because their homes were very cramped and there were no cars on the roads. 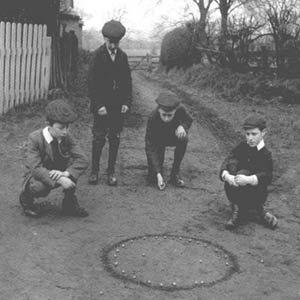 Children liked to play with small things that they could find, such as: buttons, conkers or stones. Skipping was a cheap game to play using an old piece of washing line or rope. Kites could be made easily too using paper and string.